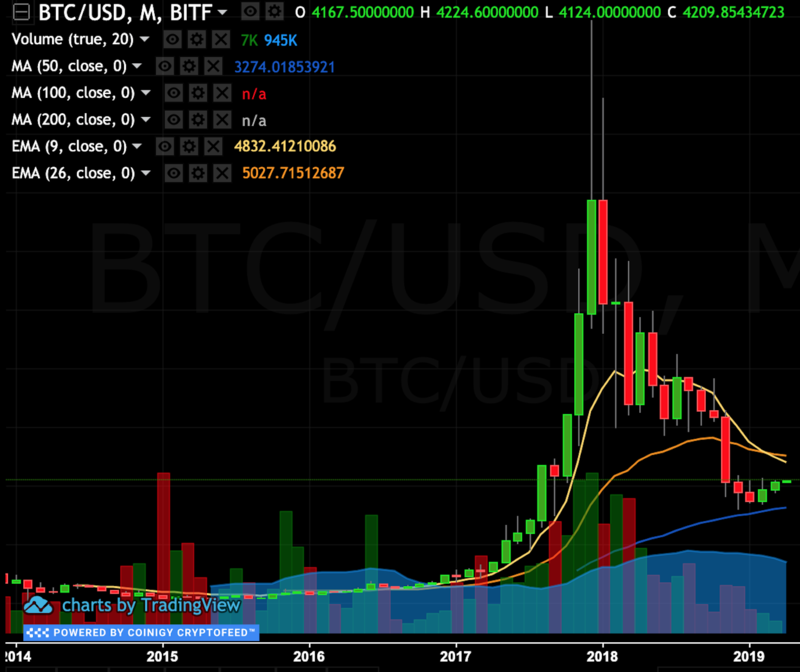 Bitcoin monthly trend-Focus your attention on the last 3 green bars. 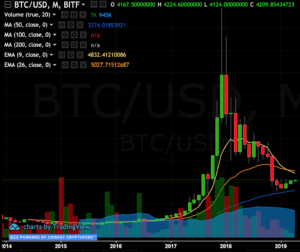 I wanted to wait to mention this until after April Fools day—Bitcoin (BTC) has just completed two consecutive green candles on the Monthly time frame, and is starting on a 3rd, which is very positive news since longer time frames are more powerful than shorter ones. 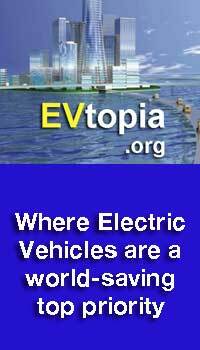 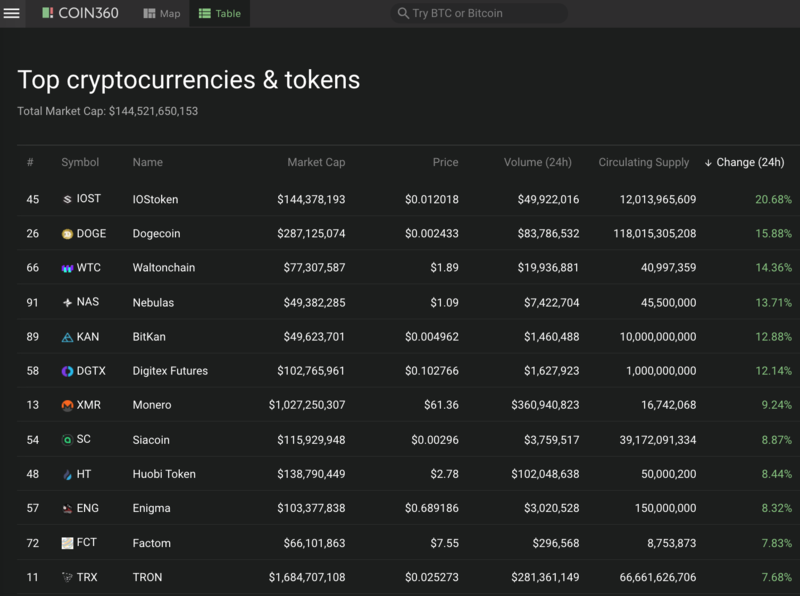 This hints at an end of the bear market and increases the chances of starting the next bull run. 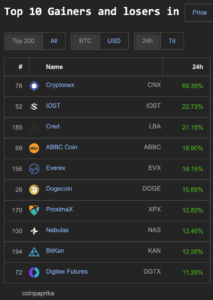 Coin360.io has 6 coins with double digit gains in the top 100 market cap: IOStoken (IOST) 20%, Dogecoin (DOGE) 15%, WaltonChain (WTC) 14%, Nebulas (NAS) 13%, BitKan (KAN) 12% and Digitex Futures (DGTX) 12%. 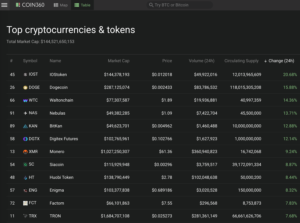 Today’s market movers in the top 100 market cap on coin360.io. 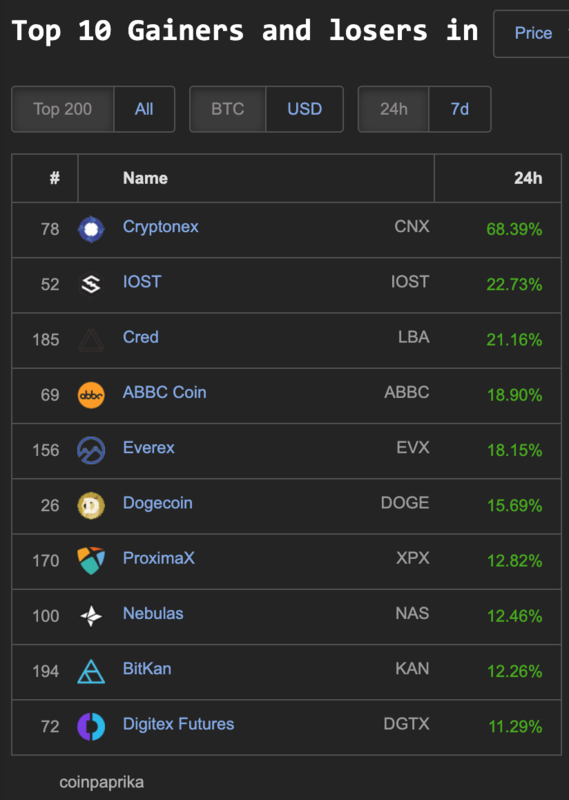 The top 10 coins within the 200 market cap on Coinpaprika.com: Cryptonex (CNX) 68%, IOST 22%, Cred (LBA) 21%, ABBC Coin (ABCC) 18%, Everex (EVX) 18%, Dogecoin (DOGE) 15%, ProximaX (XPX) 12%, Nebulas (NAS) 12%, BitKan (KAN) 12% and Digitex Futures (SGTX) 11%. 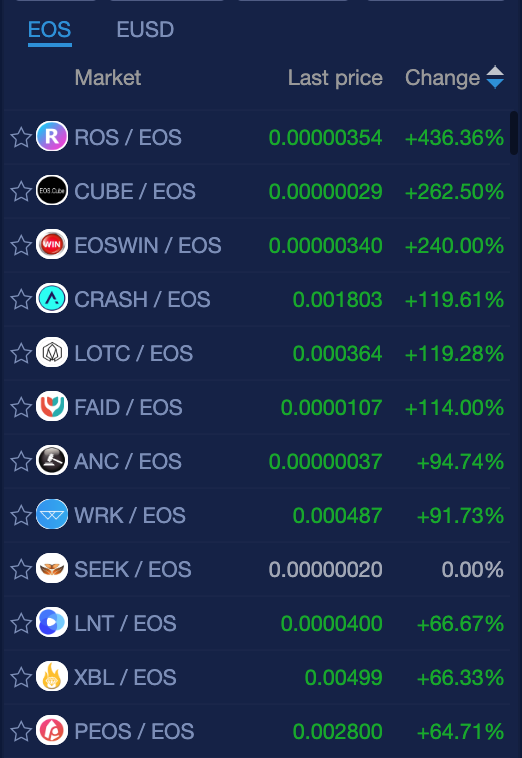 Within the “EOSphere” trading on the NewDex.io exchange we see triple digit gains for: ROS (426%), CUBE (262%), EOSWIN (240%), CRASH (119%), LOTC (119%) and FAID (114%) and 27 (not a typo) other coins gaining double digits. 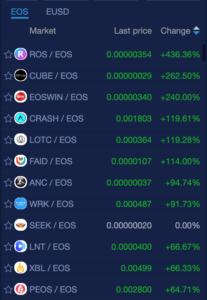 Congratulations to everyone holding these coins!